After the success of the inaugural event, the British Open returned to the beautiful city of York. For full details click below. SMPT books return trip to York for 2020! After the successful conclusion of the 2018/19 tournament, all parties are looking forward to January next year. 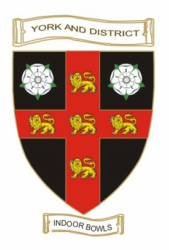 Ian Clough, the manager of York & District Indoor Bowls Club, said "We're delighted to confirm the venue for 2020, that all those involved whether players, officials or spectators will be able to return to our club for a third time. It's proving popular with our members and visitors will be assured of a warm welcome". Entries to the Verdemat Bowls British Open 2020 will open later in the year.